Now Accepting New Herdshare Owners! Fresh Grass Fed milk from YOUR cow! 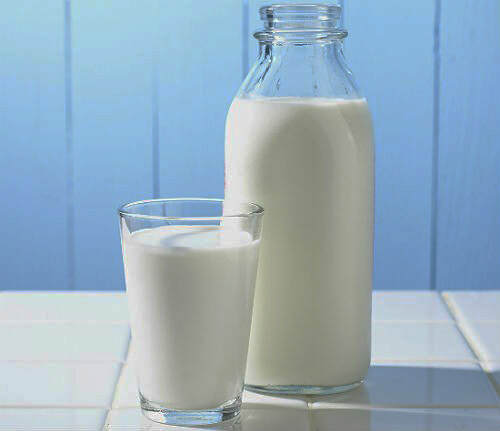 White Oak Ranch is now offering raw milk cow for purchase so that you too can have fresh, nutritious raw milk! Here at WOR, my goal and drive is to produce the cleanest, most nutritious milk possible I have A2 Jersey cows here, A2 milk is for lactose intolerant people, google A2 milk, I personally cannot drink anything but A2, It is wonderful for drinking, cheese making, butter, ice cream, kefir, and yogurt! I am sure you have all researched the benefits of 100% grass fed Dairy! We also sell Greek Raw Yogurt, and Cream occasionally at the farm. With the Greek Yogurt, we take a starter culture of probiotics added to the raw milk, incubate it for 12 hours and never above 100 degrees. Next we chill it for 12 hours and last we strain it for 12 hours. This makes for a tasty rich creamy yogurt. All dairy animals are milked in a separate area from their usual quarters, and extreme precautions are taken to see to it that the milk is strained and chilled in record time and that all equipment is sterilized and kept immaculately clean. We welcome anyone to come visit the Farm. Yes and no! White Oak Ranch is not Certified Organic, therefore I cannot make that claim. However, all the feed that is given to the animals is organically grown, I do NOT use pesticides or herbicides here on the farm, and I use organic herbal remedies on all the livestock whenever there is a need, instead of using harmful drugs. "What is a herd share, and why can't I just buy the milk?" In the State of Oregon, it is illegal to deliver raw milk, to advertise that you have raw milk for sale, and to have more than 2 cows, 9 goats, and/or 9 sheep that are lactating for raw milk consumption purposes. These laws hurt small farms, but there is another option that allows us a bit more freedom! A "herd share" is when you literally buy a "share" of a cow or goat. You become a joint owner of the animal and in exchange for paying a monthly boarding and care fee (for the cow whose milk you are buying), you receive 1 gallon of real, fresh milk from your animal every week. 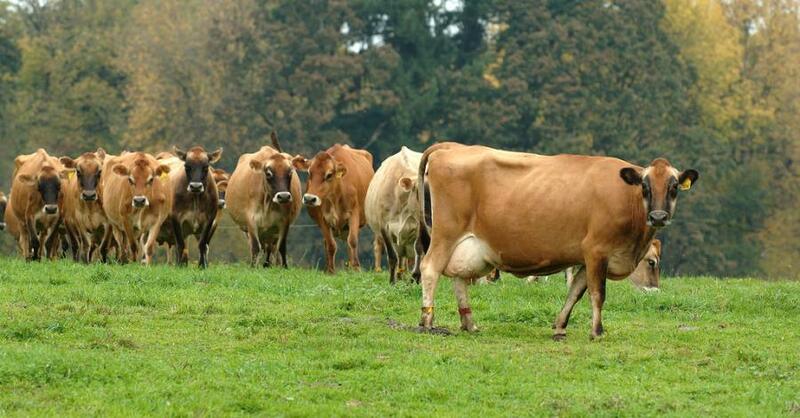 Herd shares are legal in Oregon, and are becoming increasingly popular. "How do I buy a herd share, and where do I get the milk?" To buy a herd share, first please email me to check for availability! I currently have 30 cow/herd shares available and you will get one gallon per share per week. You can buy more or less, such as half a herd share for half a gallon a week or three shares for three gallons a week. Once you have emailed me about how many gallons/shares you want, I will send you the contract. Once signed and paid, you can either pick your milk up directly from the farm (located in Eagle Point), or you can pick it up at the Monday Ashland pick up spot or there is a pick up in Phoenix. "How much does a herd share cost?" There is a one-time fee of $35.00 per share (i.e. two shares are $70). One-time fee for a half share is $17.50. After the initial payment, you then pay a monthly fee of $45.00 to pay for care, feeding and boarding of your animal. This works out to only $5.20 per half gallon bottle! The herd share purchase fee and the first-month boarding fee ARE due at the same time, so your start up fee will be $80.00 if you buy one share. NOTE: the monthly boarding fee is due during the FIRST WEEK of each month. "Do I need to bring my own jars?" No, White Oak Ranch will supply half gallon jars for your milk with purchase of a herd share. However, you DO need to bring the clean and empty jars back each week when you pick up your next batch of milk. While WOR provides jars for you, you do need to bring a cooler with ice in it to transport your raw milk. Raw milk MUST stay cold at all times! Copyright © 2018 White Oak Ranch - All Rights Reserved.